A four-bedroom unit at Clover By The Park was put up for sale at Colliers International’s auction on Nov 22. The 1,765 sq ft unit was offered in a mortgagee sale, the first time it appeared at an auction, says associate director Lock Sau Lai of Colliers International. The unit has a guide price of $2.2 million ($1,246 psf). The auction was held after this publication went to print. Clover By The Park is a sevenyear- old development by Sim Lian Group, a privately held construction and property development company. 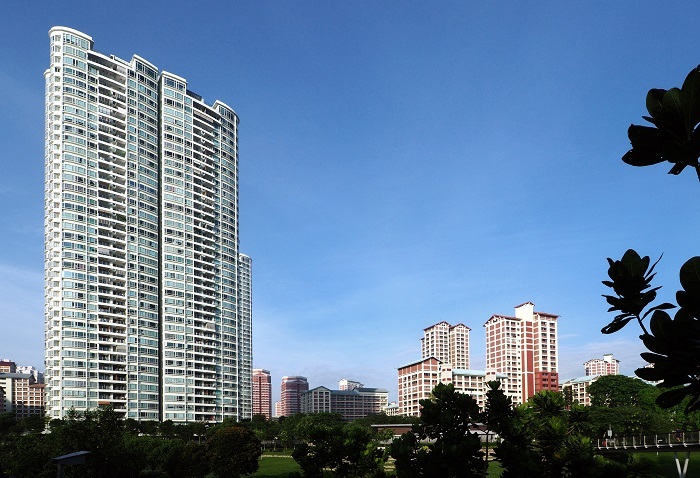 The condominium is located on Bishan Street 25, near Marymount Road in District 20. The 99-year leasehold development comprises 616 three- and four-bedroom units ranging from 1,216 to 1,765 sq ft, as well as 16 penthouses of 2,530 to 3,477 sq ft. 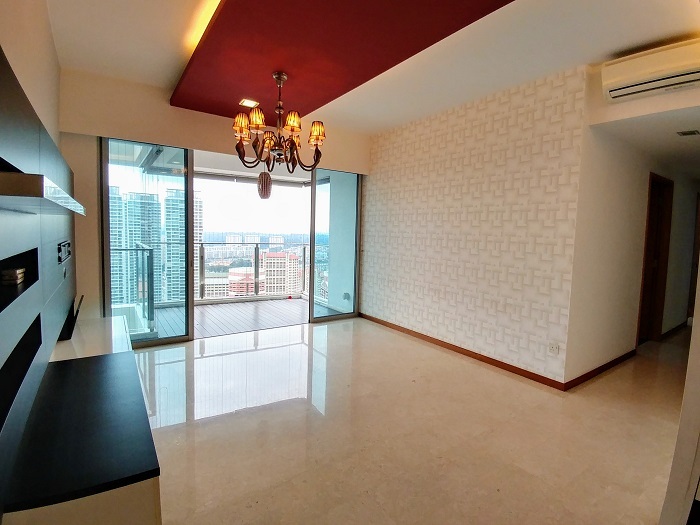 The condo is beside the Bishan- Ang Mo Kio Park and near Whitley Secondary School, Catholic High School and the upcoming Eunoia Junior College. The unit being auctioned is on the 32nd floor of one of the 39-storey blocks, and overlooks the Bishan and Marymount areas. It comprises two en suite bedrooms, two bedrooms sharing a bathroom, a living and dining area with an adjoining balcony, and a kitchen and utility room. It is likely that potential buyers will be looking to purchase the unit for their own stay, given its size, as those buying properties for investment tend to go for smaller units in the area, says Lock. The size of the unit and its proximity to schools will appeal to young families, she adds. According to URA caveats, the unit was initially purchased for $1.63 million ($925 psf) in 2011 and sold for $2.2 million ($1,246 psf) a year later.